The inhabitants of this charming and mysterious place called their land: Te Pito o TeHenua, 'the navel of the world.' 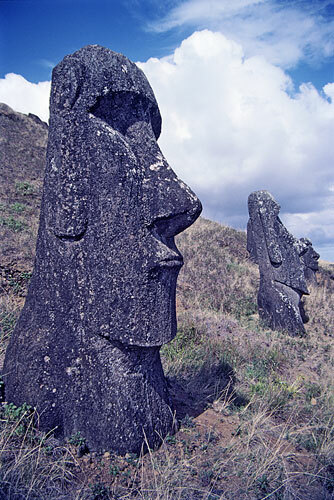 Rapa Nui is the most isolated place of inhabited land in the world, located in the South Pacific. Separated by some 3,200 km from the nearest continent of South America. Some of the stone heads are placed in alignment with astonomical such as the position of the Sun at the Solsice etc.